In a neighborhood perched above the C&O Canal, owners of a 7 year old house on a small suburban lot wanted a more engaging outdoor experience. 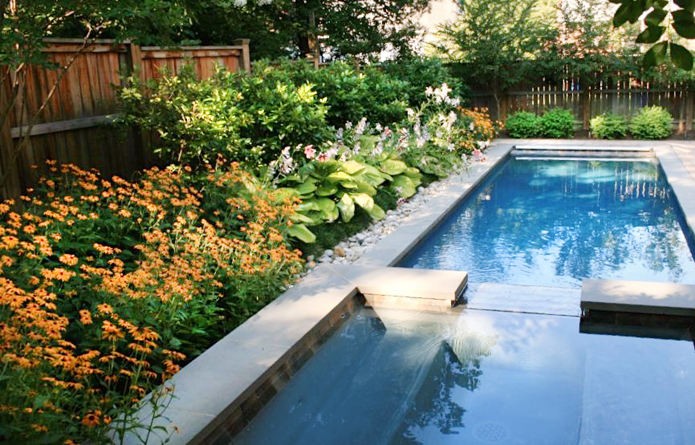 We focused first on the 30’x60’ back yard, adding a scaled down swimming pool just big enough for exercise and play with a spa for year-round relaxation. A balcony with a changing room below connects the pool garden to the house. Crape myrtle, Japanese snowbell, Rose of Sharon, and viburnum add privacy and color for this inward-looking space. In the front, we built a porous walk and reduced the size of the lawn. 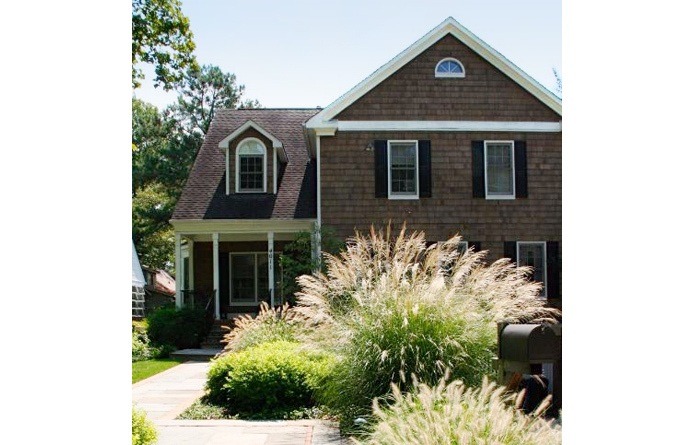 This allowed us to include seasonally rich plantings of flowering shrubs, perennials, and grasses. We also resolved significant drainage issues by adding french drains and drywells.